Serving Traditional American Food- with a TWIST! 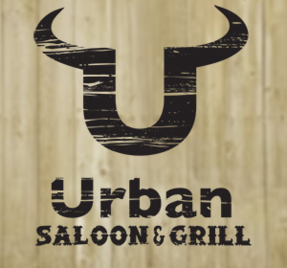 The Urban Saloon & Grill is Longview's newest themed restaurant featuring Steaks, Burgers, Dinners, Appetizers, Sandwiches, and Salads. Join us for a relaxing Signature Cocktail, Local Draught Beer, a glass of fine NW Wine or a freshly-ground French Pressed Coffee. You will enjoy our relaxed atmosphere that accommodates all. In the mood for dessert? Our famous Peanut Butter Pie is made from scratch and is sure to please. For large groups, we feature a Banquet Room that seats up to 50. Located in the heart of Downtown with plenty of free parking in the back. With our made-from-scratch quality menu items and friendly staff, incredible Prime Rib served every Friday & Saturday evening- you will see why we are the areas new local destination for Lunch and Dinner.